Hybrid – New Breed of Street Car Racing ! 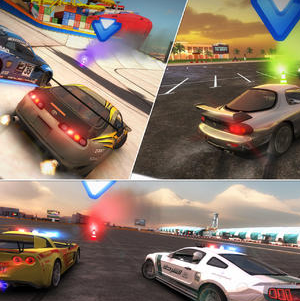 Street racing is surely one of the most explored genres in the world of gaming. We have seen games like Need for Speed where car takes a 360 degree spin in air after jumping off a track in high speed just like a basketball player does before he slam dunks on the courtyard. In fact, there’s an upcoming movie as well by the same name. But this world of gaming has somehow been limited to laptops and PlayStations only. While multiplayer gaming has reached a new dimension with online multiplayer games, the glass of mobile gaming is still as empty as a team without Michael Jordon. Though there are many games, none of them has the worth of your time. But with new budding developers making it to the world stage, there are some gems coming out of the caves and one of them is with us today in our review court room. 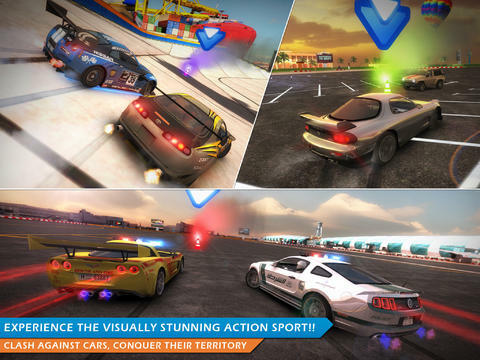 Hybrid, the latest iOS app that has been developed by Dubai Police VTC is all about street car racing and its winning spirit. The app is compatible with iPad only and requires iOS 6.0 or any later version of the OS. Hybrid has all what it takes to be called the master of the game. 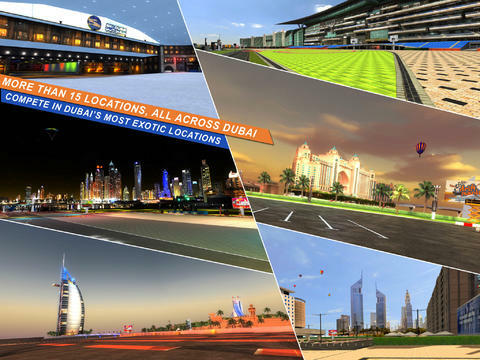 While the career mode poses some stiff challenge across all the 6 territories of Dubai, the multiplayer games make sure that you’re keeping up with the world level. 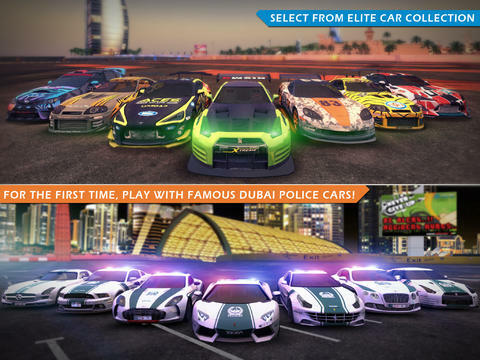 As the race is based in Dubai, there are supercars from the exotic collection of Dubai police. But obviously you’re not getting your hands behind their wheels unless you earn them and when there are street racers across the whole city of Dubai fighting for the same spot of King, you can expect it to be even messier than a Royal Rumble match. The multiplayer games, especially the team matches are the highlights of this game. Apart from building your own team, you can work as a manager as well and ask your drivers to race for you. But make sure you know their positives and negatives before getting them for a challenge. A racer might be good in general but weak for a particular race. So you train them accordingly and build yourself a team that can take on other teams across any challenge. When I’m talking about a game this big, it’s obvious that the graphics will be far more than amazing. Hybrid has some of the coolest machines and the locations are more exotic than the beaches of Barcelona. When your car jumps off a steep track and flies in the air, it takes you to heaven for a moment. But staying grounded, you must know how to use the customizations to build the best machine for a challenge. Upgrades always give you an upper hand over your competitors. So earn some money and get yourself the best of the machines. However, if you’re not able to do so, you can buy them via in-app purchases as well. The app is available for free in the App Store but only for a short period of time. So make it yours before it becomes quite expensive to get hands on! Pros: brilliant graphics; vibrant colours; exotic locations; career as well as multiplayer modes; challenge teams; work as a manager; free.